This book tells the (almost) complete story of the evolution of botanical illustration over a period of some 3,000 years. ​It provides a "comprehensive, critical and well illustrated survey" of how plants and flowers have been illustrated over time by different artists in different places for different purposes. 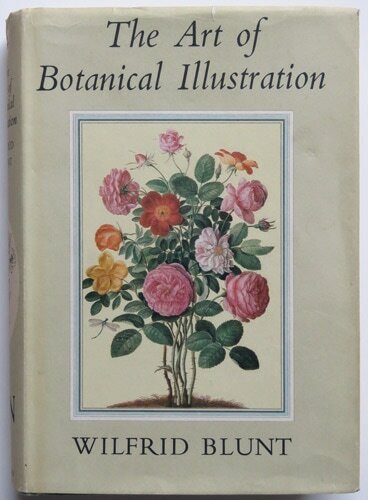 This book - first published in 1950 - is probably the most famous book about the history of botanical art and illustrations and the artists and illustrators that produced it. 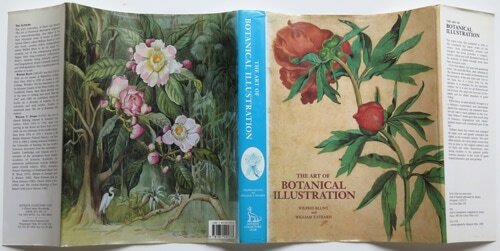 This is the standard by which all other books about botanical illustration are judged. 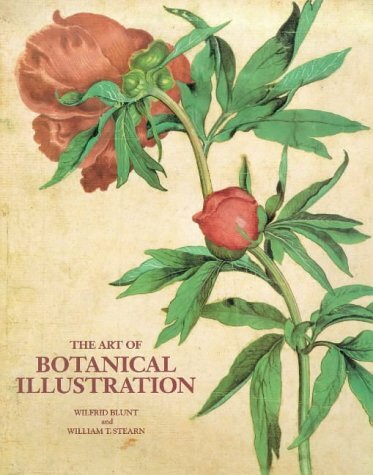 ​It represents a benchmark in terms of documenting botanical illustration and artists included in this book are worth noting. It's still considered to be a classic work, is recommended as a reference and it can be quite difficult to get hold of an original copy in very good condition for a reasonable sum. Mr Blunt's book is unique in that it is the very first book to give us a complete picture of the history of flower illustrations as a whole. His book is a classic - it will be read and admired today and will be kept for reference for all time. 1950 - first edition (completed July 1949; 47 colour plates 32 black and white plates and 75 figures in the text. The book was updated with additional information sent to Blunt and Stearns and by 1994 included a more thorough review of botanical artists in the 20th century. I've got copies of both the 1950 and the 1994 editions and took their book covers off to demonstrate the difference - although on reflection it might have been a good idea to included a coin to demonstrate the difference in size. There are also differences in the colours of the images of botanical illustration reproduced in both books. The 2015 reprint is also reproduced further down the page. It's perfectly possible to get hold of all three copies. Revised by Stearn and republished in 1994 (Antique Collectors' Club). This large second edition (1994 Antique Collectors Club edition) provides larger and much better coloured images. This is not a quick read! Very much a book to read over time. 'Let no one think this is a book only for the specialist. It is essential for the specialist, certainly, but it is also for all the flower-lovers and all those who enjoy the by-ways of biography and the added attraction of good writing'. Wilfrid Blunt (1901 - 1987) was an author and art historian as well as an art teacher - initially at Haileybury College (1923 - 1932) and then Eton School (1932-1959) (where he also taught Rory McEwen) . In 1959 he became Curator of the Watts gallery in Surrey. He was also the brother of the art historian Anthony Blunt, who was Surveyor of the King's Pictures and commented on the art. Wilfrid Blunt wrote 25 scholarly books between 1947 and 1986 - with this book being the most well-known and well-regarded. He collaborated with the botanist and author of 'Botanical Latin' William T. Stearn (1911-2001) to write The Art of Botanical Illustration - which was completed in 1949 and first published in 1950. Stearn was also Librarian of the Lindley Library and then botanist at the British Museum (Natural History) between 1952-1976. Together Blunt and Stearns won the prestigious Veitch Gold Medal fromThe Royal Horticultural Society, which is awarded each year for "to persons of any nationality who have made an outstanding contribution to the advancement of the art, science or practice of horticulture." 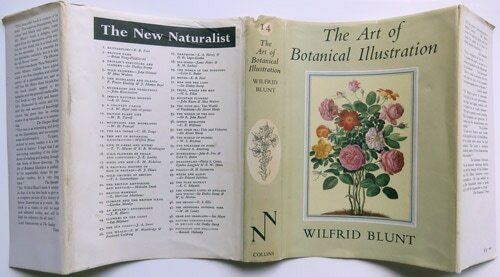 The curious number of books all called "The Art of Botanical Illustration"
The version of the original book that is currently available NEW (except via second hand book shops) is a 2015 reprint of the 1994 edition which was updated by William Stearn, prior to his death in 2001, to include many more artists from the twentieth century. So far as I am aware, no author has been nominated or identified to do any further updates to the book following Stearn's death. ​You can tell which book you are buying by the cover. The Antique Collectors' Club. They say Revised edition (29 July 2015) but I've yet to spot a difference and it looks more like a reprint to me. It seems Wilfrid Blunt and William Stearn rather cornered the market and other publishers are also keen to try and emulate - with books with the same title! 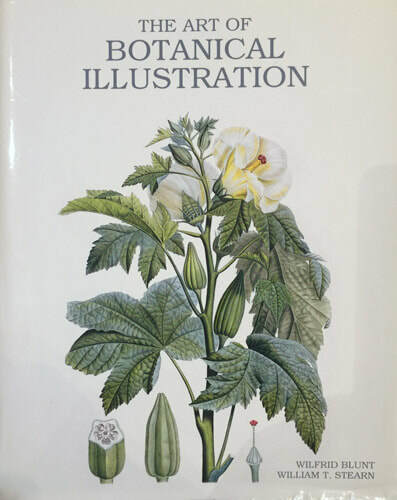 The Art of Botanical Illustration is by the botanist, researcher and author Martyn Rix and was first published by the Lutterworth Press in 1981 as The Art of the Botanist. Its name was later changed when it was republished by Bracken Books in 1989. ​The Art of Botanical Illustration by Lys de Bray was first published by Batsford in 1989 and then republished by Quarto in 2001.